You don’t have to forego electricity or drive a horse and buggy to have your life and house benefit from the sweet simplicity of Amish remedies. You will find these home remedies to be so much easier and less expensive that you will wonder why you’ve been using chemicals for all of these years. You will also find information about Amish and Mennonite stores in case you wish to order practical products Plain people use and enjoy. "I will be definitely be trying out as many of these remedies as I can, as needed. 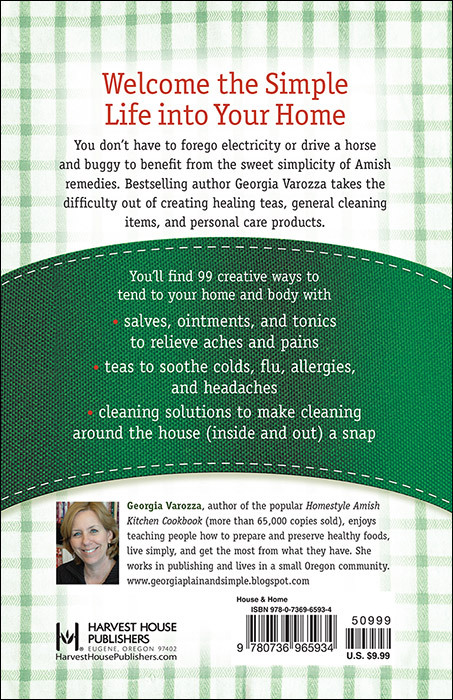 I recommend 99 Favorite Amish Home Remedies for those seeking a natural, simple way of doing things." 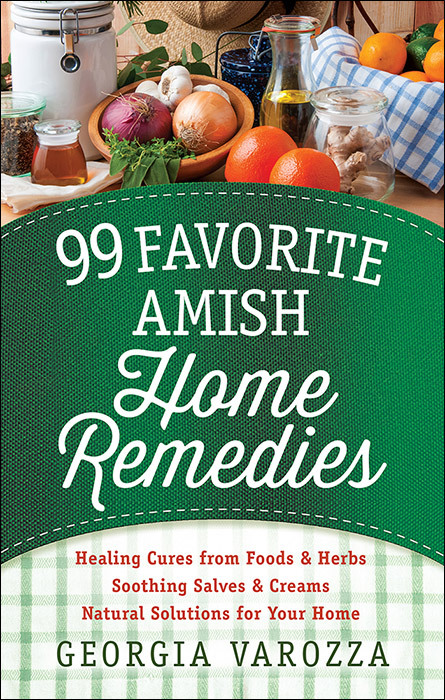 "So easy to understand, follow and use, as well as natural and clean, 99 Favorite Amish Home Remedies is the perfect book to have in your personal library. Without pesticides or processed additives, minor injuries and illnesses can often be treated safely with items usually found at home. Not necessarily replacing antibiotics and/ or medications for serious afflictions, the included items are reliable remedies to try in the interim." "I used the remedy for pain in your muscles and joint and was thrilled with it... I will be trying all of the remedies in this book because the ones I have tried work a lot better than the products I bought over the counter. I recommend this book highly.